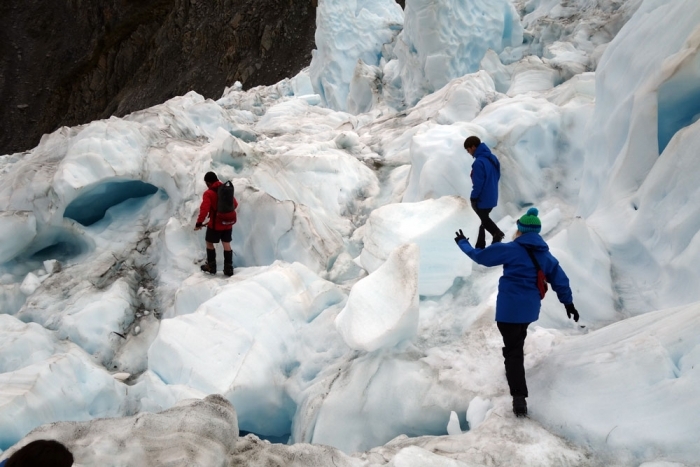 Our most expensive 'day activity' in New Zealand; A really enjoyable experience heli-hiking on the Franz Josef glacier. 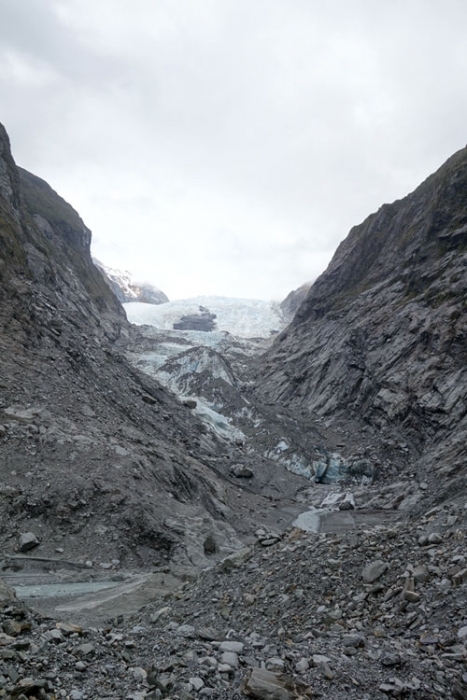 Glacier country was one of the bits of New Zealand that we were looking forward to the most as it is something extremely out of the ordinary and scenery we have never laid eyes on anywhere else. 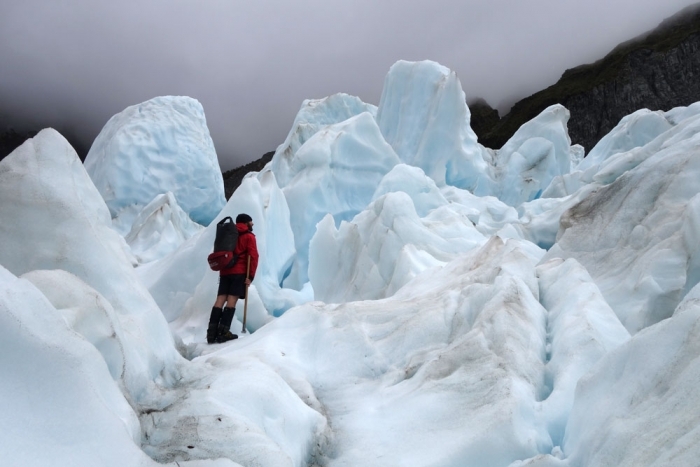 We had decided that if we had enough money when the time came that we would do one of the 'heli-hiking' tours onto the actual Franz Josef Glacier as it was kind of a once in a lifetime experience and luckily we had enough in our budget when we found ourselves in glacier country to be able to book one. The term 'heli-hiking' sounds a lot more wild than it is; In reality it is simply a hike (in our case guided) in an inaccessible or hard to access location which requires a helicopter to drop you in at the beginning and pick you up afterwards. The day that we arrived in Franz was quite overcast with very low cloud cover so we were a little concerned about the tour that we had booked for the next day. In the morning we woke to the sound of helicopters overhead and were a bit more reassured about the status of our flight. We decided to spend the morning going to look at the 'terminal face' of the glacier so that we could appreciate it all that more when we got to walk on it. It's a reasonably long walk from the car park and how close you can get to it depends on the conditions on the day. When we walked it we were able to get 250m away from the edge but that is actually quite a distance. It looks quite grey and dirty from the view point but nevertheless a very unusual site and worth going to check it out. In the afternoon we checked in for our flight. 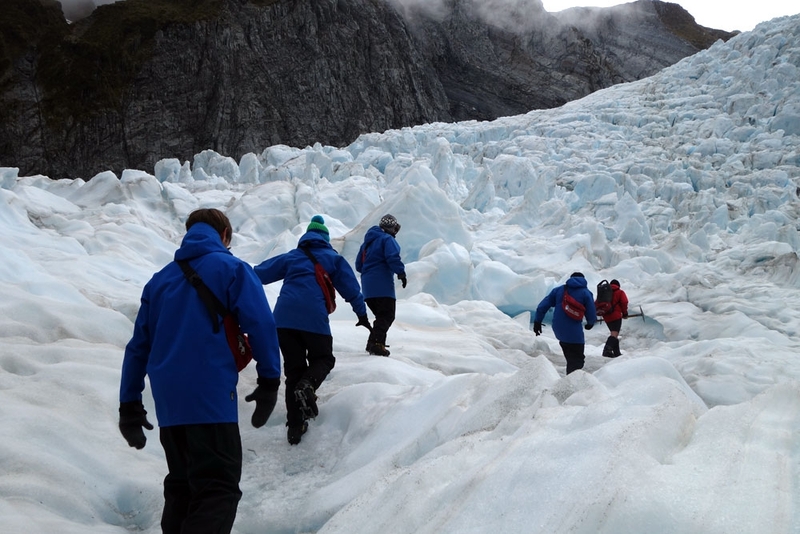 The 2 main companies that we chose between were 'Franz Josef Glacier Guides' and 'The Helicopter Line'. They operate out of the same building and they are both very similar in price (NZ$429 at time of writing). The 'Franz Josef Glacier Guides' include admission to the hot pools in Franz Josef with their heli-hike so we would have probably picked them if we didn't have a voucher for 'The Helicopter Line' which gave us NZ$40 off the price. The Helicopter Line were brilliant though, there was a lot of umming and ahhing about whether we would be allowed to go given the weather but they kept us fully updated when they learnt anything. 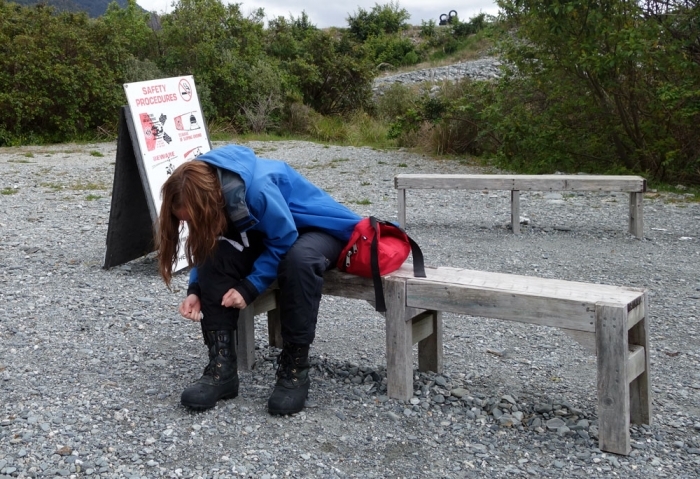 Eventually we were told that we were probably going so they would take us to get geared up but they still couldn't guarantee anything. The gear is fantastic; they give you waterproof jackets and trousers, heavy socks, big walking boots, crampons and even hats and mittens if you don't have your own. You just need to make sure that you wear a couple of layers yourself to stay warm. They don't let you bring your own bags onto the ice but they give you decent sized bum-bags with your crampons in them and you can take whatever you would like in those. 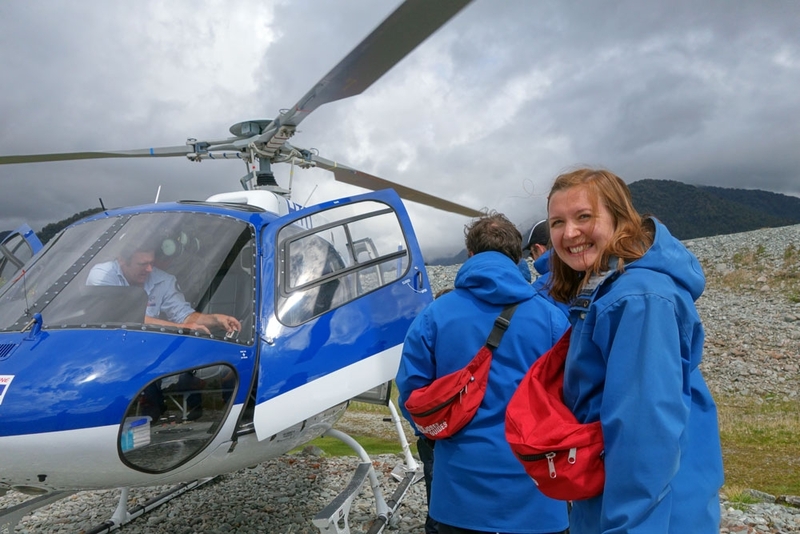 The helicopter ride itself was amazing, there are around 5 people per helicopter and you fly in over the valley and glacier and have a snow landing. The helicopter landing area on the ice is quite busy with people coming and going. You meet your guides when you arrive on the ice. Our group was split into 2 and we had a guide each (10 in our group who wanted more difficult terrain and 5 in the other). 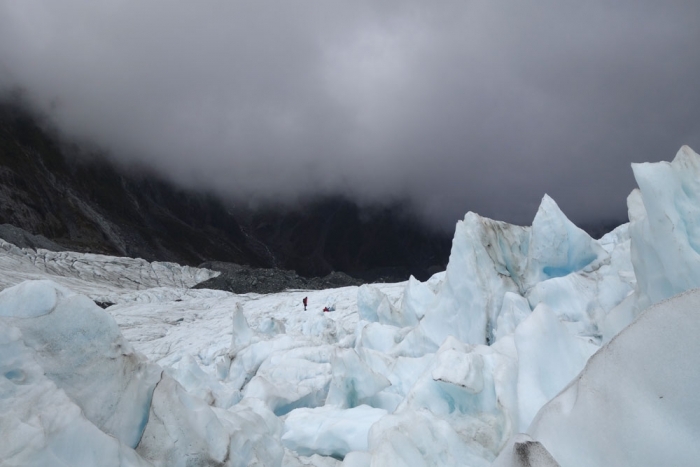 There was another 10 minutes or so on the ice where the guides were deciding whether the cloud was coming in too low too quickly for us to be able to walk safely but in the end they decided it was OK so we donned our crampons and set off. The walk on the ice itself is about 2 hours long. 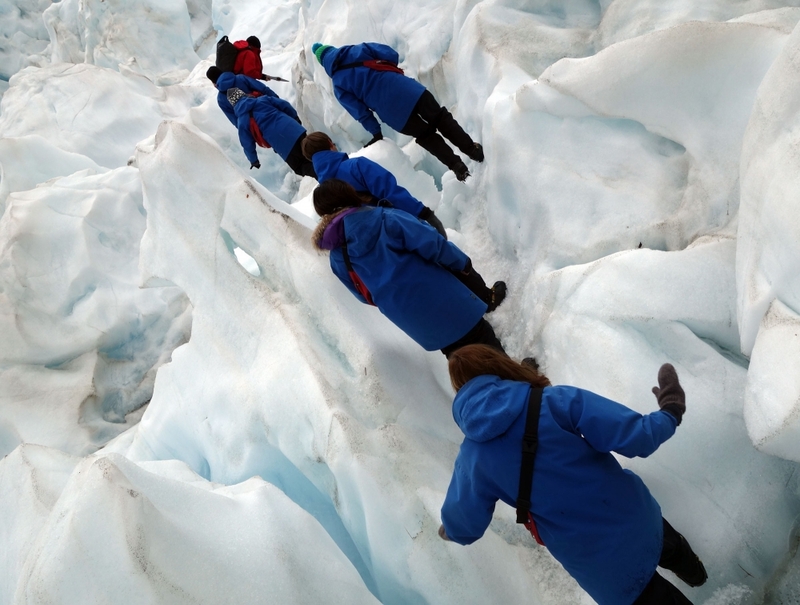 The guides are very knowledgeable about the glacier and it's geography. They take you on an impromptu tour looking for cool formations and sights. 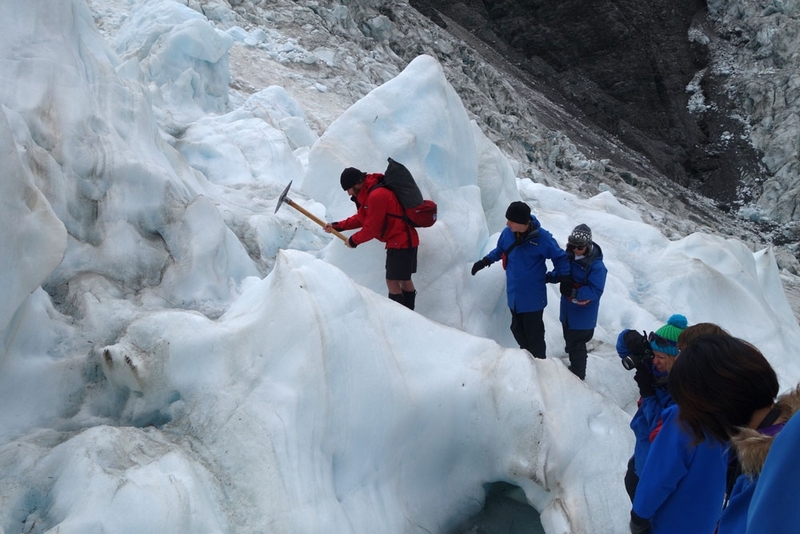 The guides stay in radio contact with each other so that they can direct each other to interesting things that they find. 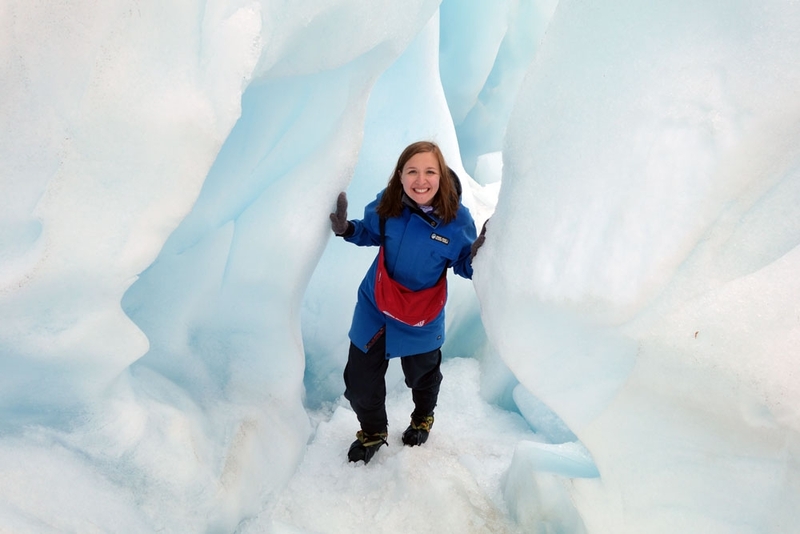 We saw chasms and caves, glacial rivers, slid down a sheer cave and came out at the bottom and witnessed avalanches and rock falls; it was amazing! When the time came to go back to the heli-area I was disappointed that it was over. I would do it again in a heartbeat and would say that using either company would be a similar experience. 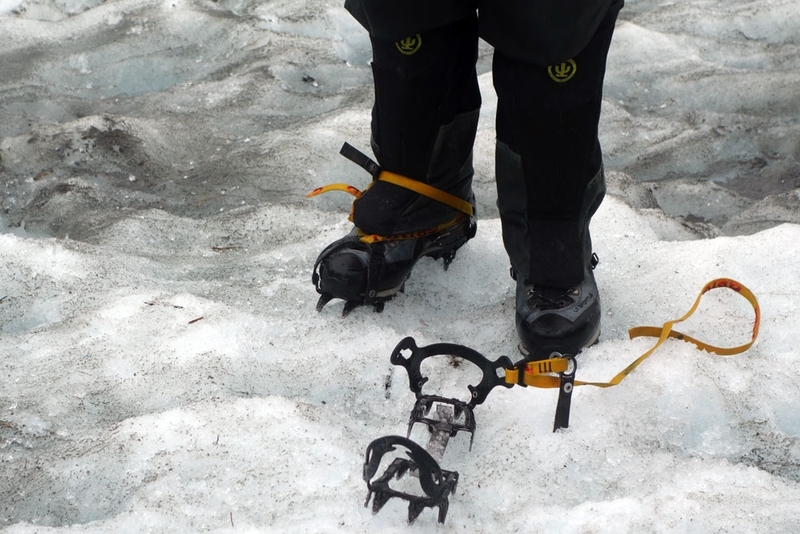 If you can stretch your budget to do this I would wholeheartedly recommend it but if you cannot for whatever reason (as we realise they are quite expensive) then the walk to the terminal face is still a brilliant way to see the glacier a little closer.